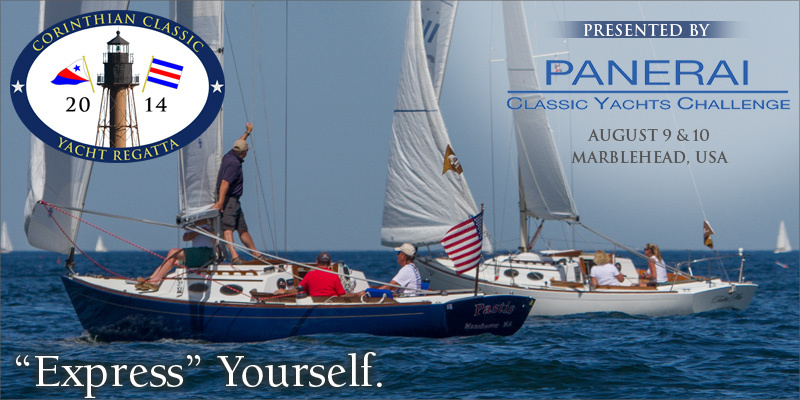 The Corinthian Classic Yacht Regatta - presented by Officine Panerai (www.panerai.com) - invites all Alerion Express and Sport yachts to participate in festivities Saturday and Sunday, August 9 & 10, 2014, Marblehead, USA. This a rare and terrific opportunity for Alerion owners to gather and sail your boats in a Corinthian spirit and take part in what has become a mainstay for classic yacht designs and sailing enthusiasts. If you’ve participated in the CCYR before, you know that the Corinthian Yacht Club along with Officine Panerai will put on a good show on and off the water. The Alerion is an absolutely gorgeous, timeless design. The Corinthian Classic Yacht Regatta without a few Alerions’ on the line just wouldn’t be “proper”. Please join us.